Organizers of the ACEs Summit gave the program at the Rotary Club meeting Jan. 23. ACEs is an acronym for Adverse Childhood Experiences, which are stressful or traumatic events strongly related to the development and prevalence of a wide range of health problems throughout a person’s life, including those associated with substance misuse. The club donated $2,000 toward the cost of summit expenses. 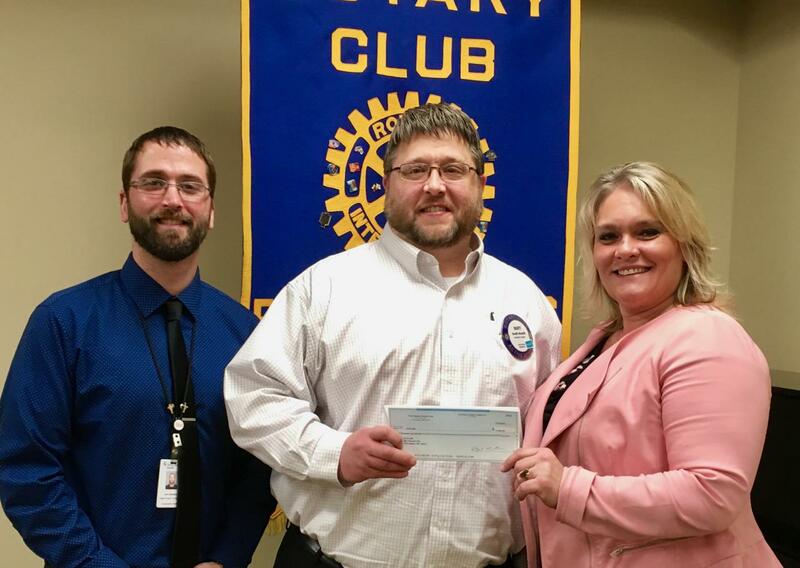 After the program, Club President Scott Hewitt (center) presented the check for $2,000 to Joe Johnson of the Father Project and Kristen Partlow, CHI St. Joseph’s Health. Rotarians are encouraged to attend the summit which will be held from 1 to 8 p.m. Wednesday, Feb. 13 at Park Rapids Area High School. To register, go to https://bit.ly/2FNfhTa. Fee is $50 which includes an evening meal.